Before taking up her position as Professor of Politics at the University of Adelaide, Lisa was an ARC Senior Fellow (University of Adelaide) and a Fellow in the Political Science Program, Research School of Social Sciences, ANU. Prior to that she lectured for 7 years in the Department of Government, University of Sydney and, as a Rhodes Scholar, took a D.Phil. in Politics at the University of Oxford. Her current areas of interest are: political theory, intellectual history, issues in electoral law and selected issues in Australian Politics. Lisa is a Fellow of the Academy of the Social Sciences of Australia. 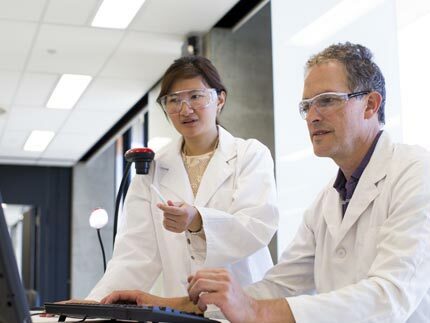 Australian Research Council (ARC) GRANTS. 2014-2016. ARC Discovery Grant, Project Title: 'The First 'Liberals': Stoicism in the Enlightenment' (with Han Baltussen). 2012-2014. ARC Discovery Grant, Project Title: 'The Science of Welfare: Adam Smith's Political Thought'. 2009-10. ARC Discovery Grant: Project Title: ‘Is Compulsory Voting Defensible’? 2007-2009 ARC Discovery Grant. Project Title: ‘Corrupting Government: An Intellectual History of Political Corruption’ (with Wilf Prest and Bruce Buchan). 2003-6 ARC Large Industry Linkage Grant. Project title: ‘Electronic Voting and Electoral Inclusion: Implications for South Australia’. 2001-6. ARC Five Year Discovery Fellowship. Project: ‘Friendship and Strangership'. 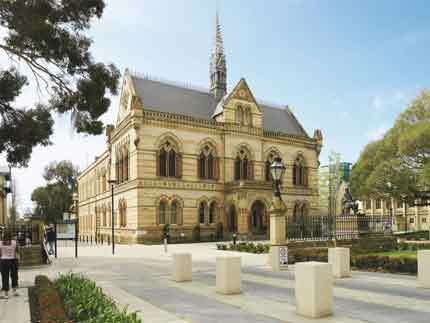 2008 University of Adelaide Faculty of Humanities and Social Sciences Hosting Conference Scheme. (with Ian Hall). 2007. Academy of Social Sciences Workshop Grant (with Ian Hall and Wilf Prest). 2007. 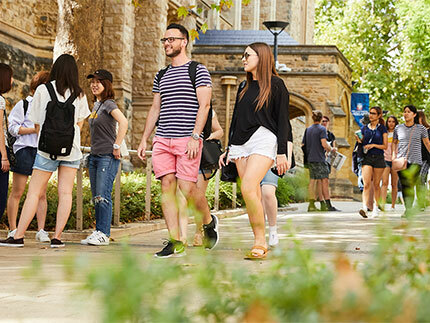 University of Adelaide Faculty of Humanities and Social Sciences Hosting Conference Scheme. (with Ian Hall). 2007. Faculty Strategic Research Grants Scheme grant. 2006 University of Adelaide Faculty Small Research Grant. Project Title: ‘Testing Some Controvertible Claims About Compulsory Voting’. 2004 University of Adelaide Faculty Small Research Grant. Project Title: ‘Compulsory Voting: Effectiveness, Appropriateness and Comparative Lessons’. 2002 University of Adelaide Faculty Small Grant. 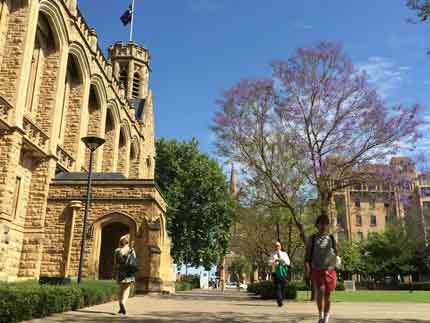 Project Title: ‘Developing a Template for a Best Practice Regime Derived from Australian and Comparative Data’. Political Theory; Intellectual History; Electoral Law; Australian Politics. Lisa's current Australianist interests are in electoral law and electoral inclusion. Her theory interests are in issues in liberal democratic theory and rights while her intellectual history interests are in the Scottish Enlightenment, classical political economy, the development and prehistory of liberal thought, classical Stoicism and political corruption. Jason Brennan and Lisa Hill, 2014. Compulsory Voting: For and Against, New York and Cambridge: Cambridge University Press. Buchan, B. and Hill, L. 2014. An Intellectual History of Corruption, New York and London: Palgrave Macmillan. Ian Hall and Lisa Hill (eds). 2009. British International Thinkers from Hobbes to Namier, Palgrave-MacMillan. Louise Chappell, John Chesterman and Lisa Hill. The Politics of Human Rights in Australia, Melbourne: Cambridge University Press, 2009. Lisa Hill. The Passionate Society: The Social, Political and Moral Thought of Adam Ferguson, Berlin/New York: Springer, 2006. Louise Chappell and Lisa Hill (eds). The Politics of Women’s Interests: New Comparative and International Perspectives, London: Routledge, 2006. Louise Chappell and Lisa Hill (eds). Gendered Interests, a special issue of Policy Organisation and Society, 22, (1) July, 2003. Anthoula Malkopoulou and Lisa Hill. 2016. Equality and Representation, a special issue of Critical Review of International Social and Political Philosophy, 19 (5), in press. Lisa Hill. 2016. 'Adam Smith and Political Theory', in Hanley, R. (ed) Adam Smith: His Life, Thought and Legacy, Princeton: Princeton University Press. Lisa Hill. 'Adam Ferguson's Sociology of Emotion' in D. Lemmings and A. Brooks, Norbert Elias: Emotional Styles and Historical Change, New York: Routledge, 2014. Lisa Hill, ‘Ideas of Corruption in the Eighteenth Century: The Competing Conceptions of Adam Ferguson and Adam Smith’ in Manuhuia Barcham, Barry Hindess and Peter Larmour (eds) Corruption: Expanding the Focus, Canberra: ANU Press, 2012, 97-112. Lisa Hill. ‘Informal Voting Under a System of Compulsory Voting’, in Costar, B., Orr, G. and Tham, J. (eds) Electoral Regulation and Prospects for Australian Democracy, Melbourne University Press, 2011. Lisa Hill. ‘Adam Smith on War (and Peace)’ in Ian Hall and Lisa Hill. British International Thinkers from Hobbes to Namier , New York: Palgrave-MacMillan, 2009. Lisa Hill. ‘A Complicated Vision: The Political Thought of Adam Ferguson’, in Eugene Heath and Vincenzo Merolle (eds), Adam Ferguson: Philosophy, Politics and Society, London: Pickering and Chatto, 2009. Lisa Hill and Jonathan Louth. Compulsory Voting and Turnout: The Australian Case’, in Asifa Begum (ed) Election Law, Hyderabad: ICFAI University Books, 2009. Ian Hall and Lisa Hill. ‘Introduction’ in Ian Hall and Lisa Hill. British International Thinkers from Hobbes to Namier, New York: Palgrave-MacMillan, 2009. Lisa Hill and Kate Alport. ‘Electronic Conduits to Electoral Inclusion in an Atypical Constituency: The Australian Case’, in Mehdi Khosrow-Pour, Editor-in-Chief, E-Government Diffusion, Policy and Impact: Advanced Issues and Practices, Pennsylvania: IGA Global, 2009. Lisa Hill and Kate Alport. ‘Reconnecting Australia’s Politically Excluded: Electronic Pathways to Electoral Inclusion’, in A. Anttiroiko (ed), Electronic Government: Concepts, Methodologies, Tools and Applications, (Volume 3) IGI Global, Hershey, New York, 2008 (reprint of Hill and Alport, 2007). Lisa Hill. ‘Parliamentary Privilege and Homosexual Vilification’, in Gelber, K. and Stone, A. (eds) Free Speech and Hate Speech in Australia, Federation Press, 2007. Lisa Hill. ‘The Role of Thumos in Adam Smith’s System of Thought’, in Geoff Cockfield, Ann Firth and John Laurent (eds) Adam Smith’s Theory of Moral Sentiments, Edward Elgar, 2007. Lisa Hill. ‘Women’s Interests and Political Orientations: The Gender Voting Gap in Three Industrialised Settings’ in Chappell, L. and Hill, L. (eds) The Politics of Women’s Interests: New Comparative and International Perspectives, Routledge, England, 2006. Lisa Hill and Louise Chappell, ’Introduction’, The Politics of Women’s Interests: New Comparative and International Perspectives (co-edited with L. Chappell) Routledge, London, 2006. Lisa Hill. ‘Classical Stoicism and a Difference of Opinion?’ in T. Battin (ed) A Passion for Politics: Essays in Honour of Graham Maddox, Longman Pearson, 2005. Lisa Hill. 'The Hidden Theology of Adam Smith' in Economics and Religion, Paul Oslington (ed), Edward Elgar: Cheltenham, 2003. Lisa Hill. ‘Democratic Deficit: Is CIR the Solution to a Problem Compulsory Voting Has Already Solved?’, in Williams, J and MacIntyre, C. (eds) Peace Order and Good Government: Constitutional and Parliamentary Reform,Wakefield Press, 2003, pp. 133-149. Modernity, London: Frank Cass, 2000. Articles in fully refereed journals. Lisa Hill. 2017. '"The Poor Man's Son" and the Corruption of our Moral Sentiments: Commerce, Virtue and Happiness in Adam Smith', Journal of Scottish Philosophy, 15.1. in press. Lisa Hill and Serrin Rutledge-Prior, 2016. 'Young People and Intentional Informal Voting in Australia', Australian Journal of Political Science, 51 (3): 400-417. Lisa Hill. 2016. 'Voter Turnout, Equality, Liberty and Representation: Epistemic versus Procedural Democracy', Critical Review of International Social and Political Philosophy, 19 (5), in press. Lisa Hill. 2015. 'Republican Democracy and Compulsory Voting', Critical Review of International Social and Political Philosophy, 18 (6): 652-660. Lisa Hill. 2015. 'Political Theory in AJPS: A Review', Australian Journal of Political Science, 50 (4): 653-662. Lisa Hill, 2015. 'Does Compulsory Voting Violate a Right Not to Vote? ', Australian Journal of Political Science, 50 (1): 61-72. Lisa Hill, 2015. 'Classical Stoicism and the Birth of a Global Ethics: Cosmopolitan Duties in a World of Local Loyalties', Social Alternatives, 34 (1): 14-19. Lisa Hill, 2013. 'Deliberative Democracy and Compulsory Voting', Election Law Journal, 12 (4), 454-467. Lisa Hill, 2013. ‘Conceptions of Political Corruption in Ancient Athens and Rome’, History of Political Thought, 34 (4), 565-587. Lisa Hill, 2012. ‘Adam Smith: The Man, the Mind and the Troubled Soul’, The Review of Politics, 74 (2), pp. 307-316. G. Evans and L. Hill, 2012. ‘The Electoral and Political Implications of Reserved Seats for Indigenous Australians’, Australian Journal of Political Science, 47 (3): 491-505. Lisa Hill. 2012. ‘Adam Smith on Thumos and Irrational Economic Man’, European Journal of the History of Economic Thought,19 (1): 1-22. Lisa Hill and Cornelia Koch. 2011. ‘The Voting Rights of Incarcerated Australian Citizens’, Australian Journal of Political Science, 42 (6), 2011, pp. 2013-228. Lisa Hill. ‘Social Distance and the New Strangership in Adam Smith’, Adam Smith Review, Volume 6, 2011. pp. 166-183. Lisa Hill. 2010. ‘Public Acceptance of Compulsory Voting: Explaining the Australian Case’, Representation, 46 (4): 425-438. Lisa Hill. 2010. ‘ On the Justifiability of Compulsory Voting’, British Journal of Political Science, 40 (4): 917-923. Lisa Hill and Kate Alport. 2010. ‘Voting Attitudes and Behaviour Among Remote Aboriginal Peoples’, Australian Journal of Politics and History, 56 (2), pp. 242-258. Lisa Hill. 2010. ‘Adam Smith’s Cosmopolitanism: The Expanding Circles of Commercial Strangership’, History of Political Thought, 31 (3), pp. 449-473. Sally Young and Lisa Hill. ‘Uncounted Votes: Informal Voting in the House of Representatives as a Marker of Political Exclusion in Australia’, Australian Journal of History and Politics, 55 (1), 2009, pp. 64-79. Cornelia Koch and Lisa Hill. ‘The Ballot Behind Bars after Roach: Why Disenfranchise Prisoners?’, Alternative Law Review, 33 (4), 220-224, 2008. Lisa Hill and Kate Alport. ‘[Re]connecting Australia’s Politically Excluded: Electronic Pathways to Electoral Inclusion’ International Journal of Electronic Government Research, 3 (4) 2007, 1-19. Lisa Hill and Sally Young. ‘Protest or Error? Informal Voting and Compulsory Voting’, Australian Journal of Political Science, 42 (3), pp. 515-521, 2007. Lisa Hill. ‘Adam Smith, Adam Ferguson and Karl Marx on the Division of Labour’, Journal of Classical Sociology, 7(3) 2007, pp. 339-366. Lisa Hill. ‘Adam Smith and the Theme of Corruption’, Review of Politics, 68 (4) Fall, 2006, pp. 636-662. Lisa Hill. ‘Low Voter Turnout in the United States: Is Compulsory Voting a Viable Solution?’ Journal of Theoretical Politics’, 18 (2) 2006, pp. 207-232. Jonathon Louth and Lisa Hill. ‘Compulsory Voting in Australia: Turnout With and Without It,’, Australian Review of Public Affairs, (Journal) 6, Number (1), 2005, pp. 25-37. Lisa Hill. ‘Further Reflections on the Hidden Theology of Adam Smith’, European Journal of the History of Economic Thought, 11(4), 2004, pp. 629-35. Lisa Hill and Peter McCarthy. ‘On Friendship and Necessitudo in Adam Smith’, History of the Human Sciences, Vol. 17 (4), 2004, pp. 1-16. Lisa Hill. ‘Compulsory Voting in Australia: A Basis for a ‘Best Practice’ Regime’, Federal Law Review, Vol. 32 (3) 2004, pp. 479-97. Lisa Hill. ‘Democratic Deficit in the ACT: Is the Citizen Initiated Referendum a Solution?’, Australian Journal of Social Issues, 2003, 38 (4) pp. 13-19. Lisa Hill. ‘The Voting Gender Gap: Australia, Britain and the United States’, Policy, Organisation and Society, 22, (1) 2003, pp. 73-100. Lisa Hill. ‘Compulsory Voting: Residual Problems and Potential Solutions’, Australian Journal of Political Science, 37 (3), 2002, pp. 437-55. Lisa Hill. ‘On the Reasonableness of Compelling Citizens to Vote: The Australian Case’, Political Studies, 50 (1) 2002, pp. 80-101. Lisa Hill. ‘The Puzzle of Adam Ferguson’s Conservatism’, Eighteenth-Century Scotland, 2001 (2), pp. 10-15. Lisa Hill. ‘Australian Democracy and Privileged Parliamentary Speech’, Politics, 21 (2) 2001, pp. 23-34. Lisa Hill. ‘The First Wave of Feminism: Were the Stoics Feminists?’, History of Political Thought, XXII. (1) 2001, pp. 12-40. Lisa Hill. ‘Eighteenth Century Anticipations of a Sociology of Conflict’, Journal of the History of Ideas, 62 (2) 2001, pp. 281-299. Lisa Hill. ‘The Hidden Theology of Adam Smith’, European Journal of the History of Economic Thought, 8 (1), Spring 2001, pp. 1-29. Lisa Hill. ‘Compulsory Voting, Political Shyness and Welfare Outcomes’, Journal of Sociology, 36 (1), 2000, pp. 30-49. Lisa Hill. ‘The Two Republicae of the Roman Stoics’, Citizenship Studies, 4 (1) 2000, pp. 65-79. Lisa Hill. ‘Precarious Persons: Disenfranchising Australian Prisoners’, Australian Journal of Social Issues, 35 (3), 2000, pp. 203-213. Lisa Hill. ‘Homo Economicus, Different Voices and the Liberal Psyche’, International Journal of Applied Philosophy, Vol. 13, (1), Spring, 1999, pp. 21-46. Lisa Hill and Peter McCarthy. ‘Hume, Smith and Ferguson on Friendship in Commercial Society’, Critical Review of International Social and Political Philosophy’, 2 (4) 1999, pp. 33-49. Lisa Hill. ‘The Republic of Reason and Candour’, Journal of Australian Studies, Vol. 62, 1999, pp 10-19. Lisa Hill. ‘The Invisible Hand of Adam Ferguson’, The European Legacy, 3, (6), 1998, pp. 42-65. Lisa Hill. ‘The Hazardous Era of ‘Common Sense’’, Policy, 14, (3) 1998, pp. 38-41. Lisa Hill. ‘When Pauline Speaks’, Melbourne Journal of Politics: The Reconciliation Issue, Vol. 25, 1998, pp. 85-100. Lisa Hill. ‘Pauline Hanson, Free Speech and Reconciliation’, Journal of Australian Studies, 57, 3, (6) 1998, pp.10-22. Lisa Hill. ‘Adam Ferguson and the Paradox of Progress and Decline’, History of Political Thought, 18, (4), Winter, 1997, pp. 677-706. Lisa Hill. ‘Anticipations of Nineteenth and Twentieth Century Social Thought in the Work of Adam Ferguson’, European Journal of Sociology, 37 (1), 1996, pp. 203-228. Lisa Hill. ‘Ferguson and Smith on 'Human Nature', 'Interest' and the Role of Beneficence in Market Society’, Journal of the History of Economic Ideas, 4 (1-2) 1996, pp. 353-399. Lisa Hill. ‘'The Unreconstructed Republic', Australian Journal of Political Science, 30, 1995, pp. 589-594. Lisa Hill. ‘Nationalism and Cosmopolitanism in the Australian Republican Debate’, Current Affairs Bulletin, October, 1994, pp.16-24. Lisa Hill. ‘Civil Society Theory: Adam Smith’, International Encyclopedia of Civil Society, edited by Helmut K. Anheier and Stefan Toepler, Springer, Publications: New York, 2009. Lisa Hill. ‘Adam Ferguson’, Encyclopedia of Political Theory, Mark Bevir (ed), London: Sage, 2009. Lisa Hill. ‘Compulsory Voting’, The Oxford Companion to Australian Politics, B. Galligan and W. Roberts, (eds) , Melbourne: Oxford University Press, 2007. Lisa Hill. ‘Citizen Initiated Referenda’, The Oxford Companion to Australian Politics, B. Galligan and W. Roberts, (eds), Melbourne: Oxford University Press, 2007. Most recently she is a founding member of the Political Theory Association of Australasia. See our page on Facebook!